Throughout the year it is possible to meet us and try our wines at wine events and shops. 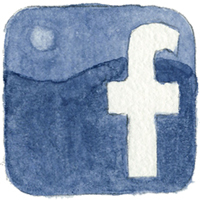 Keep in touch through Facebook and Twitter to find out more about events and tastings near you. If you are passing through Tuscany come and taste and buy our wine at our cellar door. Join Jennifer and Carlo of Macchion dei Lupi for a fun and delicious wine-dinner at BRÜDIGAMS - Frank, the chef-owner, has fabulous taste and refined skill in both cooking and design. His food is a delicious, sophisticated bistro cuisine, using only the best regional products. On this evening he will prepare a special 3 course menu to accompany the wines. 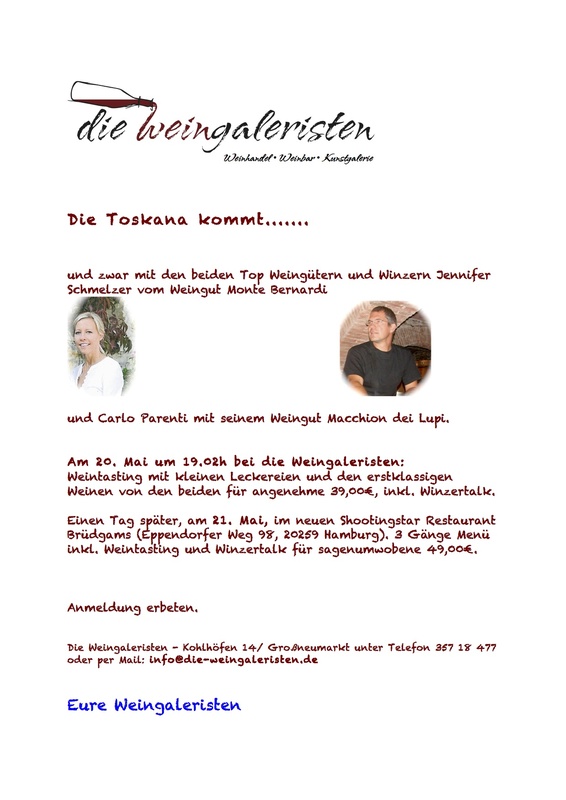 Join Jennifer at die Weingaleristen to taste some of our wines and those of Macchion dei Lupi, while enjoying some tasty snacks. 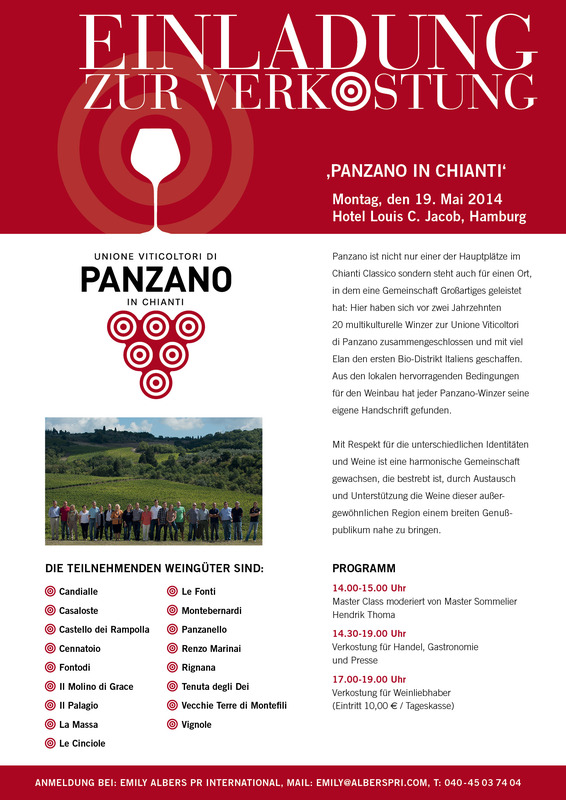 Come and meet Jennifer and the rest of the producers from Panzano at an event hosted by the famous Hotel Louis C Jacob. The event includes a master class moderated by Germany's famous Master Sommelier - Hendrik Thoma, and a tasting of the wines from Panzano. Jennifer will be pouring our Retromarcia Chianti Classico 2011 at an event hosted by La Formaggeria, in collaboration with Slow Food Roma. There will be lots of great things to try: pasta, various cheese and cured meats, bread and olive oil as well as gelato! 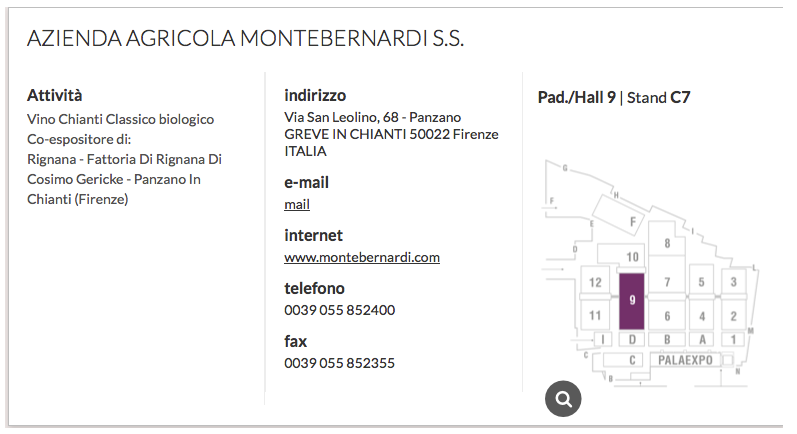 Come and meet Michael and Jennifer, and taste Monte Bernardi's new releases at Italy's largest annual wine fair. We look forward to seeing you at our stand - the location remains unchanged, but the layout & exterior design is new. Now we will have more space to receive you! Join Michael at The Ravenous Pig, where he will guide you through a range of our wines matched to a delicious meal. 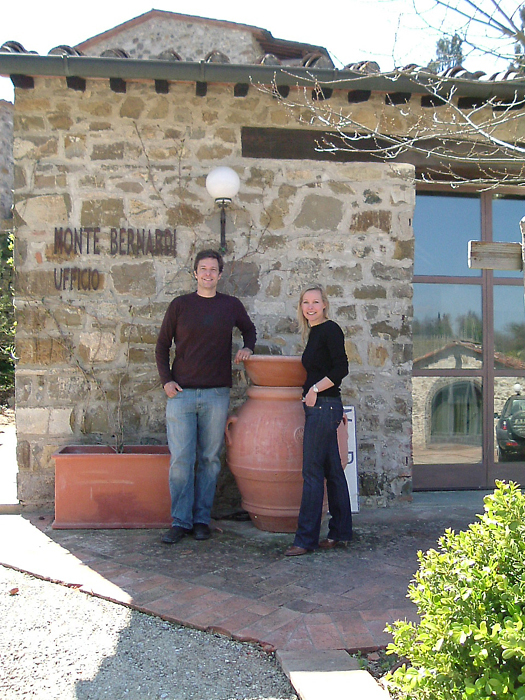 Join Michael at Chambers Street Wines to taste some wines from Monte Bernardi. Sure to be an eventful evening - a chance to meet Dario, Michael and the other producers from Panzano, all while tasting our as well as their wines over what's sure to be a delicious meal. Michael will be pouring our wines at the Bi-Rite Market's 18 Reasons Wines Bar. Michael will be pouring our wines at Noe Valley Wine Merchants. Join Michael at Il Cielo, where he will guide you through a range of our wines matched to a delicious meal. Michael will be pouring our wines at Whole Foods (Columbus Circle). Michael will be pouring our wines at Chambers St Wines. Our wines are available from a number of restaurants and local wine shops in Europe and the United States. As stock levels change over time, we suggest you call before to make sure they have our wines in stock. 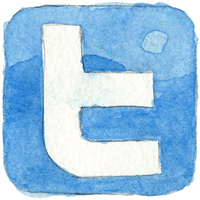 For importers and distributors please visit the trade page. Still can't find the wines close to you? 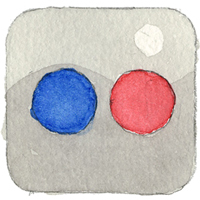 Get in touch and we'll see if we can find somewhere near you.